The Christmas season is a crucial time for any e-commerce business, but it’s never too late to start preparing your site to make the most of the additional traffic at this time of year. Curtis Morris: My name is Curtis Morris, and I’m the CEO of Qualaroo. Qualaroo specialises in helping marketers and product owners understand why customers make certain decisions. Andrew Wilson: Hi. My name is Andrew Wilson, and I’m a direct commerce consultant. I advise my clients on their direct-to-consumer strategy, including ecommerce. Dr. David Lewis: My name is Dr. David Lewis. I’m a neuropsychologist. I am also Chairman of the market research company Mindlab International. James Gurd: Hello. My name is James Gurd. I’m an independent ecommerce and digital marketing consultant. Johann Van Tonder: I’m Johann. I’m COO at AWA digital. John Donnellan: Hi there. I’m John Donnellan, I work at Canon Europe and I’ve been working with CRO teams for about the last five to eight years. Romulus Grigorus: Hi, everyone. I’m Romulus from Devatics. 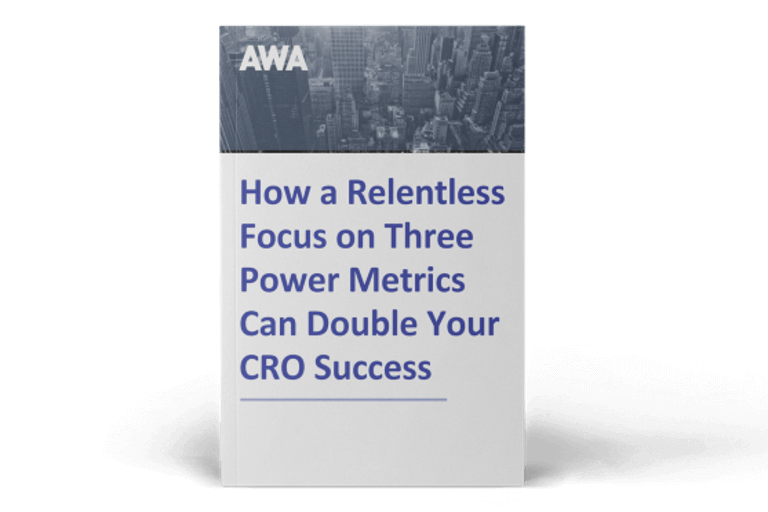 Devatics is not a CRO agency, it’s not a software provider; it’s a bit of both. Shahina Meru: Hi. I’m Shahina Meru, Associate Lead at Merkle | Periscopix. Dr. David Lewis: Christmas is a time when we shop on steroids as far as our brain functions are concerned. Curtis Morris: Many ecommerce sites are going to see a spike in traffic for Christmas and the holidays in general, starting around Thanksgiving or just after Thanksgiving, or on Black Friday, and lasting until the first week of Christmas. During that time, you can see your traffic triple, double, and in some cases go even higher than that. I spent 12 years in the hosting industry, so I can tell you that failure to prepare for a large traffic event like that can be catastrophic to your holiday sales. John Donnellan: All ecommerce sites should be making changes to their agendas at Christmas. It’s the time to really take advantage of all that traffic that’s coming to your site, really highly qualified numbers of people who are looking to purchase. Shahina Meru: Small uplifts during this period amount to much more than any other time during the year. James Gurd: Looking at some of the data I’ve seen over the last few years, in 2016, UK shoppers spent 16% more between November the 13th and Christmas day than the year before, so in real terms, that was up £21.55 billion to £25 billion, so you can see a substantial increase in retail spending. In other countries, this has just been consistent. In the U.S. for example, they had a 20% year-on-year increase in spend in November and 12% in December. Online is proving a key channel throughout the peak holiday season. Andrew Wilson: All I can say is when I worked in the gift business, 70% of your turnover for the year was done in the last quarter. And of that, the majority was done in November and December. John Donnellan: You really want to be seeing about 10-15% uplift at minimum of your conversion rates at Christmas, making sure that your focus on everything is really about that journey to convert. James Gurd: In terms of conversion rates as well, as a reference for conversion rate is going strong during peak trading. Some retailers reported two to three times higher conversion rate in 2016 in the final Thursday and Friday of the peak shopping period, so there are some big conversion spikes. Interestingly, on mobile, we’re seeing in Black Friday weekend last year, mobile conversion rates accelerated massively. They accelerated far quicker than desktop. So mobile is becoming a strong and important part of the holiday conversion mix. Johann Van Tonder: As you can imagine, this is going to be different for each business. I believe on average, ecommerce sites see traffic increase by 10-20 times. But we have clients that see increases in traffic of in order of 100% or more around this time. Sales increase has been shown to be around 23% I think on average. And again, this is going to be different depending on your business and your unique context. I’ve worked with businesses where the bulk of the annual revenue is produced in that period, but another way to look at this is to say that you’re going to acquire new customers in that period. These are going to be people who have no reason to buy from you any other time of the year. They’re there because they’re buying a gift which you happen to sell, and this is why they’re buying from you. What mechanism are you going to put in place? What strategies do you have? Do you have a plan to turn them into loyal customers, to make them come back to you? Research suggests that anywhere between 25% and 60% of new customers acquired in ecommerce business are acquired in this period. So you have to have a plan in place – retargeting, e-mail campaign, that sort of thing – to make the most of that. Andrew Wilson: The consumer’s buying process changes enormously at Christmas, because most of the year, they’re probably buying for one or two people a month, sometimes the occasional month with three birthdays, and they get a bit fed up about that. But this time of year, they’re buying for everybody. They’re buying for relatives they haven’t seen in years, because it’s politic to do so. They’re buying for colleagues they don’t like terribly much, because it is politic to do so. They have this enormous task, so anything you can do to make their lives easier, they will love you for, and the more of their business you will get. Dr. David Lewis: Remember that over this period, consumers are often hyper aroused, especially as the clock ticks towards the big day itself. This makes them both more eager to buy, but also far less tolerant of any errors or mistakes on the part of an e-trader. Johann Van Tonder: Absolutely, I think user behaviour looks very different around Christmas. For one, you’re buying not for yourself but for other people, so you’re making that buying decision on behalf of somebody else. But there’s also a lot of yourself invested in the buying decision. What I mean by that is that you give that gift in the context of relationship. It has meaning in the context of that relationship. You might think about how this gift reflects on you, so there are a lot of different layers in that decision making. People are also more motivated to buy. They have a reason to buy, they have a timeframe in which they have to buy. People are highly motivated to purchase, and we know from the work of Dr. B.J. Fogg of the Stanford Persuasion lab that motivated people will crawl over broken glass, as it were, to make that purchase. Romulus Grigorus: Indeed, research out there suggests that Christmas is a special period and customer behavior is in line with this. Based on our own observations, we encourage our clients to adapt their ecommerce their websites to two main types of behaviors, and we encourage them to make sure that everyone finds and everyone is able to buy the product they like. The first type is the early buyer. The early buyer starts looking around in October. His or her decision-making process is slow. They take their time to find the right gift and to compare prices, so that’s why we need to stay close and match the mindset. Number one, provide inspiration. The gift engine is a great functionality to add on an ecommerce website. Via a few clicks or simple questions, a list of relevant products is suggested. Romulus Grigorus: Traffic starts to increase in mid-October until New Year’s Eve. Boxing day sales boost the UK market from the 26th. Johann Van Tonder: Christmas season for ecommerce starts officially on Black Friday which is 24th of November this year. Then there’s a weekend which still sees a lot of activity, and then the Monday following that is Cyber Monday. That’s also a huge day on the shopping calendar in ecommerce. And then it can run well into January. It depends on your own unique context, your market, the vertical you’re in, your campaigns. John Donnellan: It’s never too late to make changes to your conversion program at Christmas, but the key to this is making sure your teams are flexible enough to be able to implement the changes, a point in time where you’re driving marketing and a very clear point in time where you’re trying to convert that traffic. Typically at Canon, what we’re looking to do is in very much in the last quarter, move the teams away from more operational items and then dynamically looking at all that nice qualified traffic that’s coming through to your site, let’s take advantage and convert as much as possible. Johann Van Tonder: I think the most important thing is to be in it. I’m surprised to see how many ecommerce businesses are not riding this wave, as it were. They let Black Friday, Cyber Monday and an entire season pass them by. You have to understand that there are people out there on the search engines and on the web generally, looking for inspiration, looking for gifts with wallets out, money ready to spend. Shahina Meru: Make sure that in the run-up to Christmas, your site is optimised for usability, functionality, trustworthiness, site speed, mobile friendliness, so that when it does come to Christmas time, your site is ready to go for that influx of shoppers. Romulus Grigorus: You should definitely identify what are the key success factors for your own business. Is it the product range? Do you have the correct pricing compared to the competition? What about the delivery delays and the costs? And what you can do to optimise all this. Dr. David Lewis: Be clear in your offering. As I said earlier, this means avoiding any chances of confusion or ambiguity in the text and images. Consumers should be encouraged to enter a state called cognitive flow by psychologists. In this, they proceed effortlessly from being attracted to a product or service to actually clicking the Buy button. Any interruption to cognitive flow is likely to be to the detriment of your bottom line. John Donnellan: Secondly, you need to be looking at customer journeys from your top page traffic point of view, so really looking at where the majority of your traffic is coming through and making sure that all those pages are fit and ready for a customer journey experience. Thirdly, the most important part probably is the basket experience. If customers have gone through the journey and then cannot transact, it’s going to be one of the most frustrating things. So from a conversion rate point of view, you really need to be making sure that your basket is really in good, fluid form for Christmas. Dr. David Lewis: The key to a successful ecommerce site is clarity of purpose, the ease with which both the information about the product and ways in which it can be delivered can be accessed quickly and easily given how busy and time constrained most people are getting, especially at this time of the year. Always have more than one image per product. Not just for the sake of it, but to bring the consumer closer to a buying decision. Show different angles, perspectives, dimensions. For example, shoe buyers often ask to see the sole as well as the inside and outside of the shoe. If you use the same photographs as supplied by the manufacturer, the ones your competitors use, then this will not give you a competitive advantage. It will not give you an opportunity of standing out from the crowd. Have your own photographs taken. This’ll be very helpful in making buying decisions, especially over the Christmas period. What Areas Should You Prioritise? Romulus Grigorus: But make sure you widen the choice. This needs to be combined with good product recommendation. Ideally, recommendations should be done at user level, and they should take into account the browsing history or the past purchases. James Gurd: But the most important thing is to go in and check your own data, because that picture does vary significantly between different retail organisations. Johann Van Tonder: When last did you look at the technical performance of your site, like how long a page takes to load and so on? There’s a range of tools that can help you with this, things like YSlow, Pingdom.com, Google has a tool that’s very effective. All these tools will surface areas of the site where you can make changes, make improvements in order to increase that performance. And we know that an increase in page load time will adversely affect conversion rate, so it’s important to always be looking at this, but especially around peak season where you’re expecting an influx of visitors, an increase in the number of concurrent users perhaps on your site. Can your site handle it without falling over or grinding to a halt? Curtis Morris: We really recommend looking into the hardware that hosts your site or service along with the software that runs it to make sure that they’re both sort of up to snuff on handling that additional traffic. John Donnellan: Stable site performance is absolutely critical for your site at Christmas. There are many stories of large corporations, large brands whose sites are not operating fully at Christmas and therefore cannot activate all that qualified traffic that’s coming to the site. So tip number one is really to make sure you’ve got a very stable site with good page load times. Curtis Morris: Furthermore, a lot of ecommerce sites will actually put a freeze in place. That means they don’t do any new development releases to production, and they will only patch critical bugs during the holiday season. No new features, no new updates or anything like that. That’s a pretty good practice, in my opinion. Johann Van Tonder: You don’t want to tinker. That doesn’t mean you don’t want to be doing A/B testing. It’s absolutely a good time to be doing A/B testing, but you don’t want to make big changes to the code structure. Another thing you can do is start thinking about your merchandising, your product mix and offers at this time. Let’s be clear, Black Friday and Cyber Monday is about deals. It’s about bargain hunting. Is there something that you’re able to sell at a discount without losing too much margin? You still ought to be making money. John Donnellan: One example of a seasonal change to a site that is potentially useful for everybody is making sure that your traffic never leaves. Throughout the year, look at examples or instances where you’re recognising trends as to when people bounce. When they’re doing that, if you pick up that data and then use it in peak season to make sure that you’re then overlaying your site with tactics to stop them moving is very important. Here at Canon, we’re running tests throughout the year to make sure that we’re recognising that all of our customers who are leaving our site, if there are any patterns in what they’re doing, we can use that throughout the trade peak periods to make sure that we recognise, if you like, offering them a last chance to purchase. So changing the deal, changing the mechanic. But it’s very important that you understand what that data looks like throughout the year. Romulus Grigorus: Make sure that undecided users are not left unattended. This is very important since competition is fierce and many brands compete for attention. Depending on the reason of indecision, multiple visits without a purchase or basket abandonment, you need to juggle with a combination of promotions, extra choice, urgency. Again, if the reasons for abandonment were the product, a wider choice can put the buyer back on track. If the reason was price, then a targeted promotion should help. Thanks to the technology, it’s fairly easy to convey targeted promotions via banners or the website or follow up with basket abandonment e-mails. One example for this, a multi-step e-mail process that has proved to be very effective at chasing abandonment. We saw up to 5-7% conversion rate on basket abandonment e-mails with only moderate promotions. Another example, technology today is able to store last visited items or items which were added to the basket, and visitors are therefore sent a personalized e-mail with a Black Friday promotion on their favorite item, one of the items they were looking for. Andrew Wilson: Without a doubt, the single largest mistake a company can make going into Christmas is doing a very major deploy or a revise of the site. By the time you get to Christmas, you should have tested everything, should optimise everything, and you shouldn’t deploy any significant upgrades to your site, because they can go wrong and do go wrong. Curtis Morris: A lot of ecommerce sites will treat all of their customers and their website traffic the same. 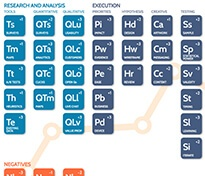 We believe at Qualaroo that a lot of opportunity lies in segmenting your traffic. You can do that by geographic region, by looking at customers that are coming from referrals that are partners of yours, referring websites for instance, and even looking at things like if they’re a returning visitor. If it’s their second or third time to your website, then odds of them making a purchase are pretty high, so you should take advantage of that by either getting some collateral in front of them or offering coupon codes. John Donnellan: The top mistakes websites make at Christmas typically are not focusing on the big opportunities. There are always many things you can look at, but you need to use your data to make sure you’re focusing on everything that’s the biggest opportunity. So from a P&L point of view, from a page traffic point of view, from any dataset that you’ve got, you need to be making sure that you’re looking at the biggest opportunities, making sure that you’re driving those journeys first, and then obviously moving on to the ones that offer you either less revenue or lesser opportunity in terms of upselling or cross-selling. John Donnellan: There are many things that can affect your site performance over peak season, and there’s a huge list of things that you need to be checking. But absolutely it depends from business to business as to what you’re doing. Large brands like Canon obviously have huge amounts of traffic coming through, so we need to make sure that our site is stable and that we go through that as a priority. But what we also do is use our third parties as well to help us look at the finer details, making sure that we’re covering every aspect. Peak season is such an important part for us, we need to make sure we’re covering that off through all of our programmes, research and through conversion rate optimisation. Having a good partner is important in making sure you’re flagging up the best things to look out for. 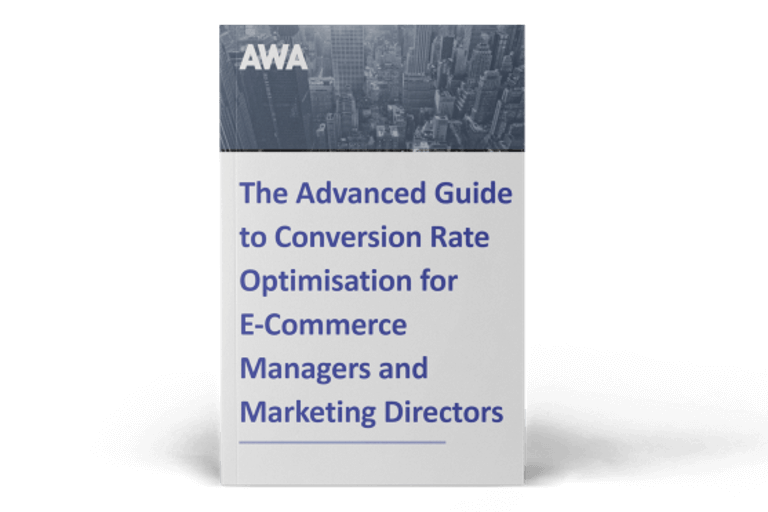 If you have any questions about how to prepare for Christmas, or any other aspect of your CRO programme, get in touch at info@awa-digital.com. How do you prepare your site for Christmas? Let us know in the comments below!